The following email recently arrived in my Inbox. The woman who wrote it has encouraged me to share it. I know someone whose husband is “passive aggressive,” and it is hurting the whole family. He is a Christian and well-respected in the church, yet he has never really repented of any specific sin, but rather blames others in his family for any and all anger/frustration/problems he has. When he does say he is sorry for something, which is rare, it is communicated like this, “I’m sorry you thought I did that. I really didn’t intend any harm and you took it the wrong way. I’m not sure what all the fuss is about.” If she tries to explain, he gets very angry at that point and shuts her down. He looks like a wonderful Christian man to everyone at church, and the wife feels that she has enabled that appearance to continue to “cover a multitude of sin,” “forgive,” show honor and respect, and make sure others think highly of him. Yet she wonders if she is living a lie and has made the problem worse. Something seems off-kilter…especially since now her teenaged children are suffering in their relationship with their father who also blames them for everything that goes wrong in their relationship. The wife has attempted to talk to elders in the church at two different points in their 20-year marriage, but the elders automatically assumed it was a matter of the wife’s lack of submission and hen pecking…and did not believe her when she tried to explain what was going on in the privacy of her home. Her children are afraid to come forward and say anything as they are certain that they too will not be believed…but that others will assume that it is a matter of THEIR not being submissive and respectful. So the cycle continues as everyone seeks to “look good” on the outside and avoid condemnation. Do you have any recommended resources that I could pass on to her? I’m unsure of how to help. She is an avid reader, has read many books on being a good wife, and longs to be a good helpmeet to her husband, yet she feels constant guilt for her own sinful responses…and her husband puts all of his guilt on her as well….so she carries that burden too. The hardest thing for her is living alone in silence…wanting to do what is right, yet feeling condemned by the church both times she has tentatively come forward to get help for her and her husband. She openly admits her own sin and actively struggles against it with victory and defeat at times, is in fellowship with God on a daily basis, loves her husband and wants what is best for him. She is not bitter, but she is sorrowful and does not know what to do anymore…especially now that her children are growing up and recognizing the issue for themselves. Looking at this family from the outside, I would never have suspected that there were any problems like this. They seem to be a model family with a model Christian marriage. She has confided in me, but never told anyone else her issue other than the elders of the church who don’t seem to feel there is a problem with the husband, but rather just her own problem of sin. I don’t know what to do to help since my only recourse would be to talk to the same elders who already have chosen to ignore the issue…likely because they don’t have a category for it. I have suspicion there are other women in the church who are suffering in silence, but would be condemned if they spoke up. I wonder if this isn’t the tip of a huge iceberg of insidious sin lying below the surface of our churches. I hear many sermons/speeches/books about the wife’s need to submit. I rarely hear much exhortation of the men to love and cherish their wives as Christ does the church. The pride that is allowed to continue unchecked could be doing more to destroy homes than perhaps we realize. Any direction would be most appreciated. How to Immediately Help this Hurting Wife – As you can tell there are manifold “issues” that need to be addressed in this situation and with each person involved. These include, but are not limited to, the husband’s sinful treatment of his wife and children, fear, biblical confession and forgiveness, true repentance leading to salvation, biblical understanding of submission, and the responsibility of the church shepherds to come alongside this family. However, the willingness of the church leaders to get involved, as well as that of the husband to receive counsel, are massive factors in who you can be help and when. Therefore, for now I limit my response to answering the writer’s question about how to provide some immediate spiritual guidance for this hurting wife. She is the one who appears to be willing to be changed by God. Work with her for now while you pray for the Lord to soften the husband’s heart and wait for the elders to intervene with a balance of grace and truth. One key way this woman needs immediate help is in the renewing of her mind with God’s truth concerning shame. She needs to understand the difference between sin-shame and provoked-shame so that she may deal honestly with her own sin before God, and receive forgiveness, while at the same time resist the temptation to take upon herself personal responsibility for her husband’s sin. 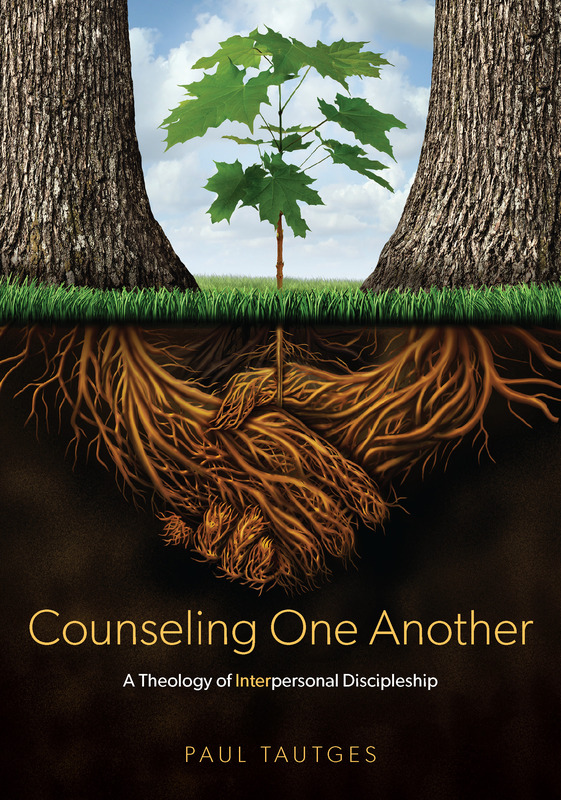 For this, I know of nothing better than biblical counselor Sue Nicewander’s booklet, HELP! I Feel Ashamed. Here are some bits and pieces that will help to get her moving in the right direction. “People criticize, hurt, and reject me; therefore, I must be bad.” The truth: God does not and will not hold you responsible for the sins of others. Their criticisms, harmful actions, and rejection reflect on them, not on you (Romans 12:17–21; Proverbs 17:15). “I fail to measure up/win approval/achieve, so I am bad.” The truth: Human limitations do not condemn you in God’s sight. “He remembers that we are dust … The mercy of the Lord is from everlasting to everlasting” (Psalm 103:14, 17). “I suffer; therefore, I am at fault.” God does not fault you for feeling pain or for suffering at the hands of oppressors. The sinless Christ himself suffered. He acknowledges the hardships you face, because he faced them, too (Hebrews 4:14–16). And he wants you to respond as he did. Once the wife’s shame has been addressed biblically she will begin to see hope in how God is changing her in spite of how bad things may continue to be at home. As God’s grace is generously applied you should then strengthen the foundation of her faith in God’s sovereignty over her suffering, as well as help her clarify the biblical limits of a godly wife’s submission. For these, I highly recommend HELP! I Can’t Handle All these Trials and HELP! I Can’t Submit to My Husband. All three resources are rich in insight and counsel that is faithful to God’s Word. Ultimately, it is the hope of redemption in Jesus–and it’s implications for life–that each person in the family needs and for which you should pray. I have know of some situations like these. Very wise words you have penned. These booklets you have edited look wonderful. How many of them will there be? When will they be released? Thanks, Carol, for your encouraging words. The three booklets mentioned in this post will be available in the U.S. next month, March. There are 24 titles in the series so far, many others being worked on. I trust you will find them very useful in your ministry.